Visualization is revolutionizing the way companies sell products at retail, online and in the customers’ homes. Chameleon Power, the leader in photorealistic visualization technology for the building, remodeling and home décor industries, covers the gamut in platforms from web visualization to Virtual Reality (VR), Augmented Reality (AR) and mobile platforms. Adding to the suite of technologies, Chameleon has upgraded its industry leading image upload tool with auto-recognition capabilities to simplify the process of viewing flooring in your room immediately. The auto upload feature is integrated into existing flooring visualizers and is a standard component in Chameleon flooring visualizers going forward. 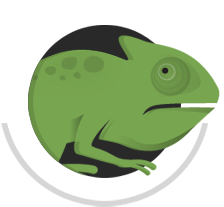 Chameleon Power provides its visualization tools on an annual license and does not charge a usage fee of any kind. The Chameleon Power visualization suite is the most photo-realistic and cost-effective solution in the industry. Chameleon Power visualizers shorten the design cycle and enhance customer satisfaction. Websites that utilize Chameleon visualizers enjoy increased user time of more than 3X and sales increases of more than 75%. Chameleon Power platforms are utilized by the leading suppliers and trade professionals in the flooring and surfacing industries. Chameleon Power’s advanced flooring software can be viewed at The International Surfaces Event Booth #6573, on January 23-25, by appointment. We welcome the opportunity to present our showcase of 2D, 3D, VR, and AR technologies to you.